In today’s digitally-driven job market, recruiters receive, on average, between 120 and 200 resumes per open position. So it’s critical your resume and application not only meet the standard criteria but really go the extra mile to stand out. Keep your resume concise, and no more than two pages – and yes, two pages is appropriate for some higher level candidates with more experience to communicate. Triple check your resume for typos, grammatical errors, and formatting inconsistencies. Be mindful of presentation – whether that means cramming too much information onto one page, or using oversized margins or font sizes. Ensure your resume meets the basics of ATS compliance. Utilize common and searchable keywords (based on the job description), avoid using tables for body copy, don’t place text in the header or footer – which cannot be read by ATS – and don’t precede company names with dates. Avoid unnecessary formatting elements or graphics that also will not parse correctly in most ATS software. Focus on accomplishments. Lead off your sentences with an impactful, results-driven statement, followed by supporting information on how that mark was achieved. That’s a fairly comprehensive list in itself, and still, most candidates fall short in at least one or two of those areas. 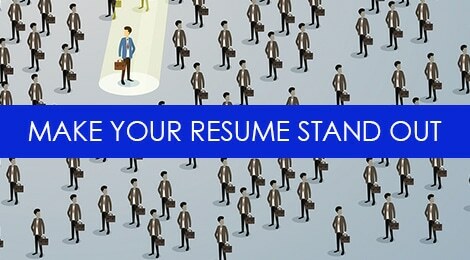 Perhaps you’ve done all that, and you’re still not seeing results – how can you kick it up a notch when it comes to gaining return on your resume, and ensuring it performs at a higher level? 1) Your resume should be a combination of strong, descriptive content and thoughtful design. Great design cannot replace poor content, and in the same regard, a lack of thought towards the presentation of your resume can also work against you. Avoid unnecessary design or formatting elements, and go with something that is clean, easy to read through, and perhaps adds a pop of color to stand out. Your resume is your business card and your first (and sometimes only) impression. 2) A well-written resume depicts a clear narrative around who the candidate is, and tells a story about their career progression. It’s no longer enough to simply list out your responsibilities – nor is it just about accomplishments. A truly impactful resume dives deeper, telling the reader how the candidate progressed through various levels of responsibility, overcame challenges, and ultimately added value to an organization. 3) Include a brief, but descriptive summary statement that gives a concise snapshot of your most relevant skills, experience, and background. Many candidates leave a descriptive summary off of a resume – either for space, or simply because it’s challenging to summarize oneself in several sentences. But this is valuable real estate on a resume that is often overlooked; it’s the first text a hiring manager will read, and it sets the tone for the rest of the document. It’s also an easy area to customize when you’re trying to tailor the resume to multiple roles. Use it to highlight key aspects of the job description so you’re communicating upfront why you are a fit for the job. 4) Focus on the right types of accomplishments. A common misconception I constantly hear is that resumes have to be driven specifically by metrics, and this is the best way to quantify one’s accomplishments. This is an ideal scenario – if you’re in a field such as sales, marketing, operations, or a leadership role where the day-to-day figures and financial performance of the organization are components of your role. But that’s not always the case particularly in creative fields, education, or non-profit. Instead of numbers, focus your accomplishments on impact – how did you contribute to things like growth, innovation, or retention? What skills (direct skills, or soft skills/attributes) did you utilize to achieve those accomplishments? Visibility is not gained through flashy resume designs, quirky technology (ahem – video resumes), or other gimmicks. Instead, it’s about letting your achievements, skill, and experience shine through, using a combination of polished, professional presentation, excellent content and messaging, and paying close attention to what your audience actually wants to see in your resume – how you can bring value to their organization. Tags: graphic resumes, resume. Bookmark the permalink.